Ben Speciale took over May 1 as president of Kennesaw, Ga.-based Yamaha Marine Group, a unit of Yamaha Motor Corp. U.S.A. 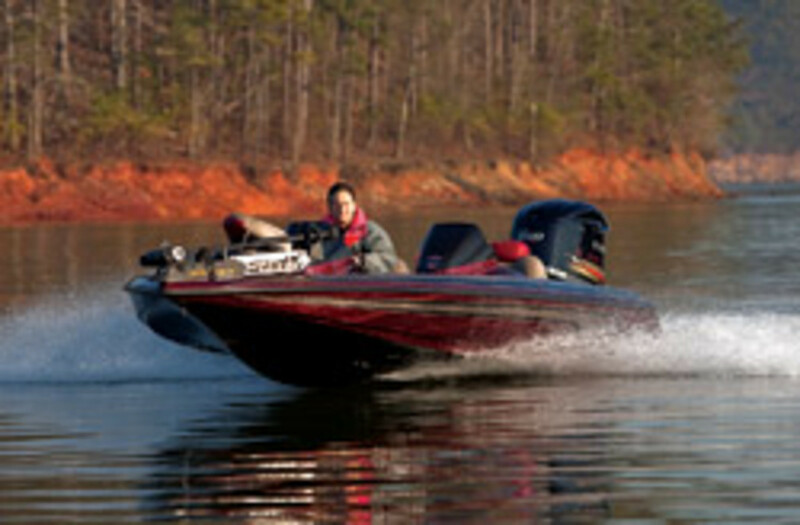 In addition to overseeing the outboard business, Speciale directs Marine Group companies and subsidiaries that include Skeeter bass boats, G3 aluminum fishing boats and Precision Propeller Industries. 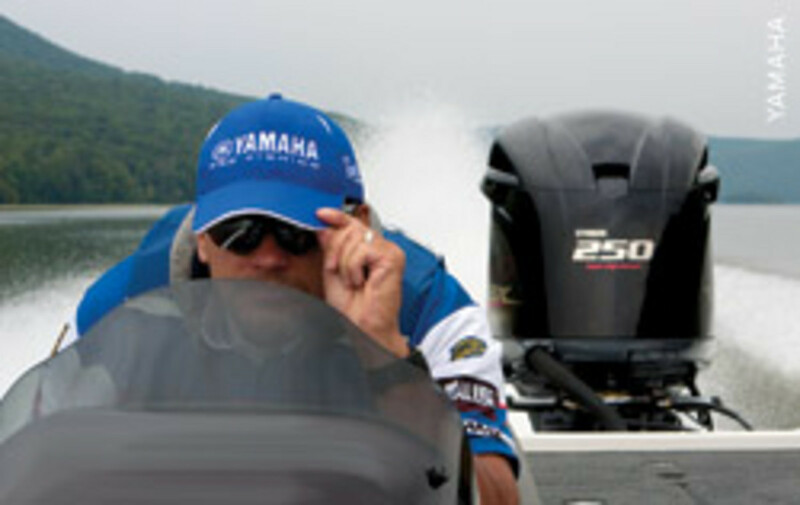 Yamaha has approximately 2,000 marine dealers and is an OEM engine supplier to 120 independent boat brands in the U.S.
Involved since childhood in his family&apos;s marina and dealership, Speciale joined Yamaha in 1987 with Yamaha Marine Parts and Accessories, and has held Marine Group positions in marketing and promotions. He left Yamaha in 1992 to become fishing production manager at Fenwick Fishing Tackle in Huntington Beach, Calif. He returned to Yamaha Marine in 1996 in strategic planning and financial operations. He was promoted to vice president of operations and planning in 2005. Speciale is a native of Spring City, Tenn., and a 1987 graduate of Ohio State University. He and his wife, Kim, reside in Kennesaw with their two daughters. Q: How has the transition from Phil Dyskow been going? A: Phil and I worked together for a lot of years. Everything&apos;s been real smooth and transparent so far for everybody. I have been involved with most parts of the marine side for many years. And Phil&apos;s really not walking out the door today; he&apos;s going to be around for a while. He&apos;ll actually be in the building, for sure, until Oct. 1. After that he&apos;ll basically be half-time with us for at least another year. The hardest part for me is going into his office and sitting at his desk. I haven&apos;t even done it, and he moved out about a month ago. He keeps saying, "When are you moving in?" And I say, "I&apos;m going to wait." He&apos;ll be a very active consultant or senior adviser for me for the next 18 months. I&apos;m really happy about that. Q: You started with Yamaha in 1987 and Phil began in 1981. It seems there&apos;s a tradition of moving up and promoting from within. Is this the case? A: A lot of companies talk about great products and great customer service, and they tell their employees that they&apos;re the most important asset. I always say words are really nice, but it&apos;s really about the actions [taken]. I think we have become an industry leader over the last 15 years because we implement tactically, and I think that shows up in our customer service team and our product team, but I also think it shows up in our transition of management. If you look at a good company, the true responsibility of the most senior managers [is] to plan that transition. I think this is a good testament that the company is [making] sure we continue with those business philosophies that have made us successful - that foundation - [and] continue to add to it with the team of people so that it&apos;s not a dramatic change. On that side of it, I think we&apos;ve been very, very successful. Q: What do you see as Yamaha&apos;s biggest challenges? A: I don&apos;t see a "biggest challenge." I tend to look at the economy, the market, regulations, consumer trends and all the other items as just conditions of business. My basic plan is to continue to focus on fostering strong relationships with our dealer network and our boatbuilding partners so we really understand their needs better and better. We will continue to focus on product that exceeds the performance expectations of the consumer. That&apos;s what brought us to our success - knowing the consumer and the product - and I think we&apos;ll continue to find ways to improve our customer service. I don&apos;t just mean the service-service but how we do sales, how we do training, how we develop tools to make it easier to do business. We can reduce costs to the dealer and improve that relationship by making things easier. We also need to continue to be flexible with our business model. We know the economy is going to surprise us with things we don&apos;t understand. We need to be adjusting our model to be more flexible in dealing with the ups and downs. And we always need to look forward with our business to make it less complicated. If you watch companies, they tend to say, "Let me explain how complicated this is." Nah, business is easy. It&apos;s simple. It&apos;s how less complicated can we make [our business model] so that we can focus on what&apos;s really, really important to us and what&apos;s really, really important to our customer. Q: You sell to builders as well as dealers. How is each segment doing? Where did you see the biggest decline during the recession and what sort of improvements are you seeing now? A: We look at our distribution in this manner - that all of our products go to a Yamaha dealer. You could argue that more than 50 percent of the time it flows through the manufacturers and is integrated into the boat that gets delivered. During the slowdown, the package boat business definitely slowed more than the loose engine business. But the reason it slowed more is that&apos;s where the inventory dollars were. At a dealership, [most] of the inventory dollars are going to be in packaged boats. So, of course, the boat package business slowed down more. What&apos;s happened over the last six months is we&apos;ve seen the boat manufacturing business become more stable. Not as big as what it was before, but it&apos;s not declining. They found the spot where they need to be. It&apos;s become a lot more consistent and starting to grow now - coming back better and better every day. Also, our parts business has been real strong, which means the consumer is using the product. So the parts business has been fairly stable, the boat manufacturing business slowed down but came back, and the direct dealer business has tended to be fairly consistent. Q: Was your dealer network impacted by the downturn? A: If you take the dealer network at large, generally there have not been a lot of changes. Dealers have gone out, yes, but we lost dealers in the best of times, too. Some interesting trends that have developed are dealers have leaned their staffs and have focused more on inventory control, which is a real good thing. We did see dealers focus more on their core strong boat brands. I don&apos;t mean to make it sound odd, but they got rid of a lot of the rat crafts and focused on strong brands and fewer brands. Another interesting development on the dealer side is a much larger focus on service. Dealers that really did well, or not nearly as badly, through this economic downturn really focused on service to their customers. The consumer never leaves our industry during slowdowns - what they do is they wait until the economy gets better or until they see something really new and they&apos;ve got to have it. The sport is healthy; we just don&apos;t sell a lot of stuff when the economy slows down. And the dealer who focused on the service aspect of the business kept that relationship with that consumer. He&apos;s going to come back in and buy a new boat; the question is when? Q: Late last year, Yamaha introduced nine new engines - the biggest product introduction in its history. Why so many at one time and how have they been selling? A: When the economy started to slow, internally we kind of said, "What&apos;s the right timing to introduce engines?" Normally, we would have introduced some of those engines in the spring of 2009, but we said "Let&apos;s push it out as late as we can." So we pushed it out until the October/November time frame. That really helped support the customer base on their inventories being too high. It gave it some more time to get it flush to the system. As I mentioned, the boating and fishing consumer never really leaves the sport - they wait when the economy is unstable or they wait for something new. The logic we were using was if we could launch this new product right at the bottom of the economic cycle or right at the beginning of its recovery, it would be a catalyst to help drive our customer base. The new launches have been very successful. The VMAX SHO has probably been the most successful product launch we&apos;ve ever had. It&apos;s truly a fundamental shift in the bass market. We introduced a 4-stoke 225, a saltwater product, in 2001. It fundamentally shifted the saltwater market from 2-stoke engines to 4-strokes, and the same thing [is happening] right now with the VMX SHO in the bass market. Because the engine&apos;s lighter, faster and burns less fuel, we&apos;ve just seen more boats adapt to that engine. The new F70, the 4-stroke 70, we just started shipping. Because it&apos;s so much lighter -over 100 pounds lighter than our current F75 - we believe it&apos;s going to be much broader than even what we anticipated at our OEM meeting. The new 4.2 liter F225 and F250 offshore engines start shipping [in June]. We&apos;re starting to adjust all our production schedules to a higher level. The excitement behind the product, because it&apos;s so much lighter and so much stronger and with so much better fuel efficiency, has created the opportunity to put it on a lot more boats quicker. So we&apos;ve started adjusting schedules to meet that demand throughout June, July and August. Those product launches are fundamentally creating the catalyst to help create excitement in our dealer network and our boat company partners right now. Q: What direction is the company taking in terms of research and development? A: Fundamentally, we&apos;re looking at making sure we move to the next generation of lighter, more powerful 4-strokes that are even more fuel efficient than the current engines - that will drive what I&apos;m going to refer to as more integration into the boat. That means it works more in harmony with the boat. Over the last 25 years, [our] engines have become more and more in concert with the boat to get optimum performance out of them. Previously, [that was done] after the launch of the engine; now we&apos;re starting to do that before the launch, as we develop the engine. The 4.2, the new offshore series, [does that] with higher charging output. I think it&apos;s about 50 percent greater net charging output, which means it can run more of the larger electronics and future electronics on a saltwater boat. 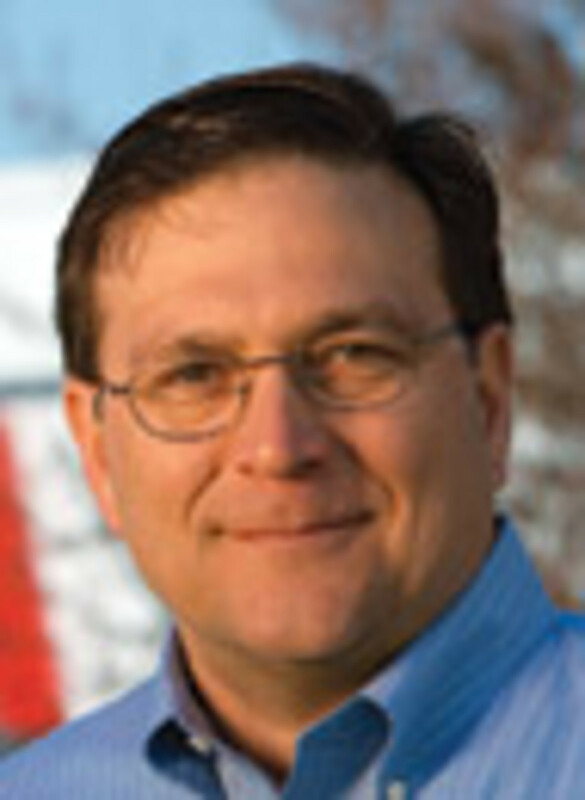 Q: The EPA is expected to rule this summer on E15. What are your thoughts on the issue? If it&apos;s approved, what will it mean for you and other engine builders? A: We don&apos;t really know this regulation yet - it&apos;s still so much in the detailed review process with all the different constituents - and I really think it&apos;s actually a larger view than just E15. You&apos;ve got the [California Air Resources Board] regulation, future CARB regulation, future EPA regulation, future evaporative emissions regulation all wrapped around this. We are working closely with the NMMA and the government and the other manufacturers on this. One of the things Phil Dyskow is going to be doing for us, and also for the industry, is to get much more involved ... on these matters. It will be great for Yamaha, as well as for the industry, to have a senior-type class person assisting with the political processes. Our view, of course, is we want a cleaner environment. As a company ... we actually build [engines] in the world market to run on different alcohol contents. The question isn&apos;t so much E15. The question in our minds is, is it the right overall regulation that meets [standards for] a cleaner environment? Does it unduly punish the consumer by having a higher cost that doesn&apos;t add value to the boating environment? Is it safe and reliable? There are 10 million to 12 million boats out there in the market already. Whatever happens with all these regulations, [they] need to be safe and reliable for the legacy boats also in the marketplace. Our goal with new regulations is really to make sure ... they don&apos;t create a customer-service issue and they&apos;re truly environmentally proven. Sometimes the regulation, and the politics behind it, makes it confusing. An extreme example: If what they want us to do doubles the price of all the engines, they&apos;re not going to get a lot of clean engines because 10 million boaters won&apos;t replace their engines. Q: Yamaha often advertises retail promotions. How important are rebates and other incentives? A: We offer retail promotions for three reasons. One is to support dealers in the off-season. Our retail season is very short and dramatic - May, June and July. We do retail promotions prior to that so consumers will buy early, [making] the May, June and July season easier for the dealer and the boat manufacturer. The second is because we know we have all these new products coming. We have been running some retail promotions for some time now ... to ensure that inventories are leaner. So, when these new products show up, it&apos;s an easier transition to the new product. And the third reason is to create a little bit of excitement in the marketplace. Sometimes the world seems a little quiet, so you do something to add some value, some excitement. In total, I don&apos;t think it impacts the business in volume, I think it impacts the business in its timing. So if the guy who was going to buy a new bass boat bought it in January, versus in April, all we did was change the timing. He was already excited to buy a new bass boat - he just needed a reason to buy it early. Q: Can you talk about the importance of tournament fishing in promoting product and in proving the product? A: One main reason why we do tournament fishing is because the consumer does it. We participate in tournaments because that&apos;s where the consumers use the product, and they want to see that you support what [they do] with the product. There&apos;s also value added in using it as a tool to look at how products are used by fishermen. Tournament pros put many more hours on a boat than the average tournament guy, so ... you can see how it performs or you can see trends on how the bass fisherman may look at it differently. And that carries over into saltwater and inshore fishing too. I think the consumer expects us to participate in those events where he uses the product, unlike car racing. Car racing is an ad; it&apos;s just a different way of delivering the ad. Our product, when you see it in a tournament ... it&apos;s where the consumer uses the product. He wants to see us participate in what he&apos;s doing. He&apos;s going to fish in those tournaments, therefore we&apos;re involved. Q: There&apos;s a lot of talk lately about closing down or limiting fishing in certain areas. How important is it to keep these areas open? A: That&apos;s a multiple-edged sword. If you take a given spot that has a true fishing shortfall, we need regulations that allow it to develop. What happens when it becomes political is it&apos;s not necessarily helping the population of the fish. You almost have to take those case by case. I don&apos;t understand what&apos;s going on with snapper fishing. I would tell you it&apos;s not healthy, what they&apos;ve done, because it seems like snappers aren&apos;t really in danger - at least the 50 I caught the other day. I think if you go back and look at things like bass fishing, our industry did a great job of promoting catch-and-release. Instead of having 25 fish thrown on a stringer, there are five fish. Those are the success stories ... we&apos;ve had in the industry. Wildlife management is very, very important, there&apos;s no doubt about it. How we manage it as an industry and a sport is very, very important, but it needs to be reasonable for all the parties. My personal experience is that most people who fish really care about the environment and the fish that are in it. They&apos;re not abusive, they&apos;re actually the opposite. Q: Do you think we&apos;ve hit the bottom of the economic downturn, and where do you think we stand as an industry? A: I think we&apos;re for sure at the bottom and I think we&apos;re slowly recovering. Our boating and fishing consumers are very, very smart - I&apos;m a big believer that they&apos;re smarter than we are with our products and stuff. Participation in boating and fishing has remained very consistent throughout this economic cycle, and the consumer is very much emotionally attached to our product and lifestyle. So being customer-focused and building that relationship is real important as we go through this cycle. I think that as the economy stabilizes and the consumer sees stability in his life, he steps back in and he buys. It will not matter too much what the volume does, whether it recovers to the mid-2000 [levels]. As a dealer, if you focus on the strong core competencies, strong brand, being flexible, I think you can be profitable for up and down cycles. Q: What do you see as the future of the marine industry? A: I don&apos;t see a lot of changes in the fundamentals. Our sport is still very family-based and fortunately our society is still family-based. Our industry is very much a friend and relationship-based type sport. I think it will remain a way-of-life type sport. I don&apos;t see major changes in participation. Participation is very similar today to what it was any year in the past 20 years. We just have to develop products that create a reason for the consumer to upgrade. If we do our jobs right, the consumer will look for new product. This is always more challenging each year. Upgrades must offer more value, because the consumer is smart. Why upgrade if it doesn&apos;t add something to the experience? Our industry, I think, is healthy long term. 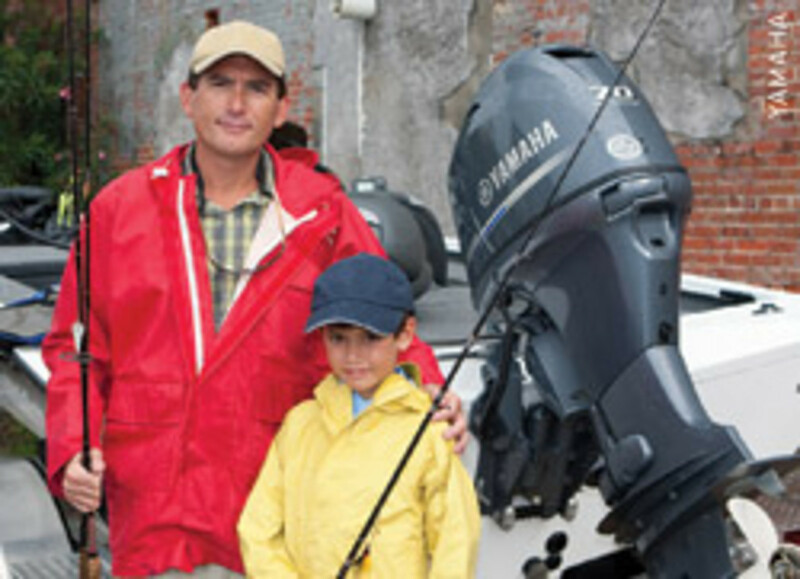 Boating and fishing are still a great way to build memories you talk about when you get older. I still remember all the fun things about boating when I was a kid and I&apos;m still building those memories with my girls.